9MM Ammo Can 1000 Rd With Boxes | BUDK.com - Knives & Swords At The Lowest Prices! MTM Ammo Cans and Boxes are truly America’s favorite when it comes to securing and protecting ammunition. What better way to store and protect bulk ammo than with ammo boxes sealed tight inside an ammo can? Molded out of rugged polypropylene plastic, they will hold up to years of use. The ammo cans are water-resistant with a tongue and groove O-ring seal system and features comfortable handles and a heavy-duty latching system. 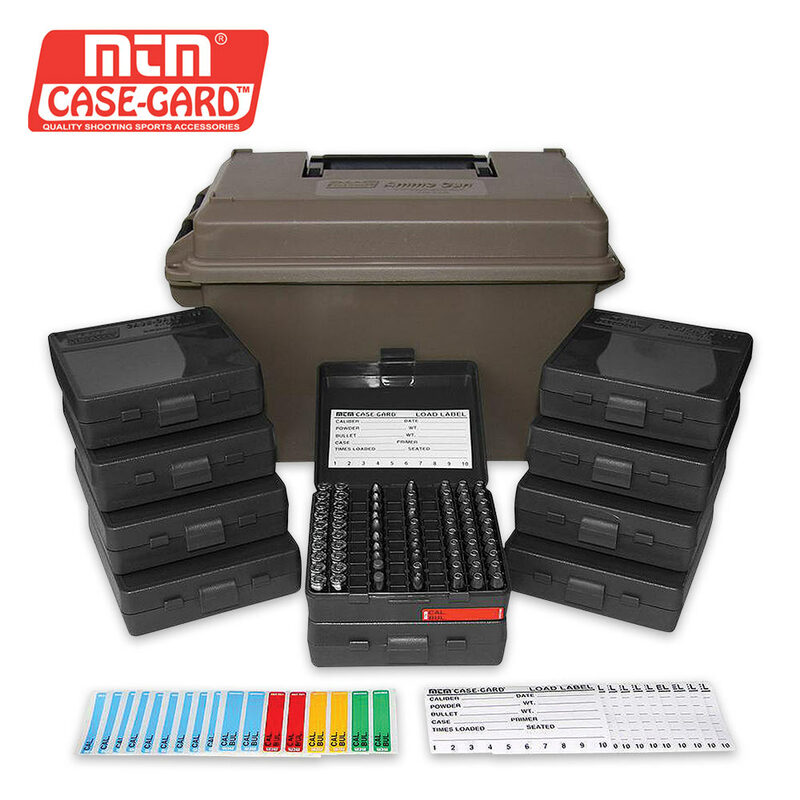 Each of the ten ammo boxes have a mechanical hinge and snap-lock latch to protect from accidental spilling. This unit holds 1000 rounds.